This is such a fantastic soothing, immune boosting, anti-inflammatory tea that everyone will benefit from drinking. This recipe takes less than 5 minutes to prepare, because you simply place all your ingredients in a saucepan & let heat it gently until it starts to simmer & then simply pour into a cup or mug & enjoy. Turmeric has so many wonderful benefits & is often referred to by naturopathic nutritionists as naturals natural “ ibuprofen or Asprin”. Its been used for thousands of years as an Indian recipe & Ayurvedic medicine because of its anti-inflammatory & anti-oxidant properties. Why are we not still using this on a daily basis? It has no bad side effects & is completely natural & has very powerful properties which everyone should know about. Turmeric when mixed with a fat & is actually activated by the black pepper. Whenever I have scrambled eggs I always add a tablespoon of turmeric & a few sprinkles of black pepper. Turmeric’s benefits include being a natural antibiotic, natural antiseptic, it speeds up wound healing, improves digestion, helps to purify blood, strengthens ligaments, helps coughs, improves asthma, slows progression of MS, helps prevent gas & bloating, lowers cholesterol, heals stomach ulcers, improves skin conditions eg. Psoriasis, eczema etc. It also helps prevent cancer, prevents progression of Alzheimer’s, aids fat metabolism and weight management, help’s reduce effects of chemotherapy. 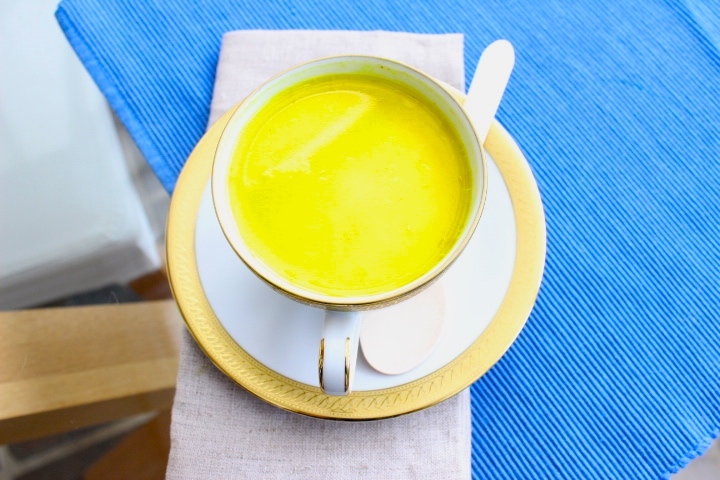 I used coconut oil in this recipe because not only does it add to the flavor, but it also has a host of wonderful health benefits & I wanted to ensure I had a good fat to help support & ensure good activation along with the black pepper for the turmeric to really be stimulated in the body.